As Shopko closes its store on South Reserve Street in Missoula, along with 10 others across the state, the building’s future is uncertain – but interest in the site is strong. Shopko has been on the retail “death list” for some time, and there are a few businesses and developers interested in the building already, said Matt Mellott with Sterling CRE Advisors in Missoula. However, that all depends on what the owners, headquartered in Arizona, want to do with the building. So far, Mellott hasn’t been able to contact the owners. While the Shopko building hasn’t been listed for sale, Mellott said developers have already reached out. Mark McQuirk, a commercial agent with Re/Max All Stars in Missoula, has been approached by service businesses and other major clothing outfitters about the space. In other communities where big-box retail stores went under, businesses that focused on a unique approach to retail or other services tended to do well. In Missoula, one example of that potential occurred when Flying Squirrel took over the old Hastings location on Brooks Street. Replacing Sears with Lucky’s Market at Southgate Mall is another, with both shopping and restaurant components. The key is incorporating multiple uses of the building, experts said. The Shopko building also could be used for co-working, or shared workspaces, similar to the C3 WorkLounge in the Old Sawmill District. “There’s been a big push, and we’ve even seen it here, where you go, what they call, towards experiential retail, so doing something as opposed to buying something,” Mellott said. Stripping a building to accommodate a new business is costly, but Missoula is pretty aggressive in getting new retailers or other companies into buildings, McQuirk said. While he doesn’t know the building’s price point, he had calls the day after Shopko announced its bankruptcy. “We have kind of a cool culture where upstarts of Missoula … do well in Missoula. When a building goes out or when a retailer goes out, there’s a lot of interest in what’s going to go in there by city officials and county officials,” he said. Other large retail chains like Shopko are seeing more and more store closures across the country. Much of it is due to the dominance of larger retailers like Walmart and Amazon. “What can I provide a consumer that is not affected by the Amazons and the Ebays of the world?” McQuirk said. With Walmart’s new grocery pick-up and Amazon’s convenience and cost, many retailers are focusing on the online experience. If traditional retail hopes to thrive, merging the online with in-store shopping must be in the business plan, experts agree. McQuirk recalls visiting a client at her home, seeing a package on her doorstep and bringing it to her. She had ordered dog food online. “I am concerned as a commercial broker about our local businesses. The entertainment side of it is great. Restaurants, microbreweries, distilleries, that’s still very, very strong. But the retail side of things, it’s been hurt,” McQuirk said. 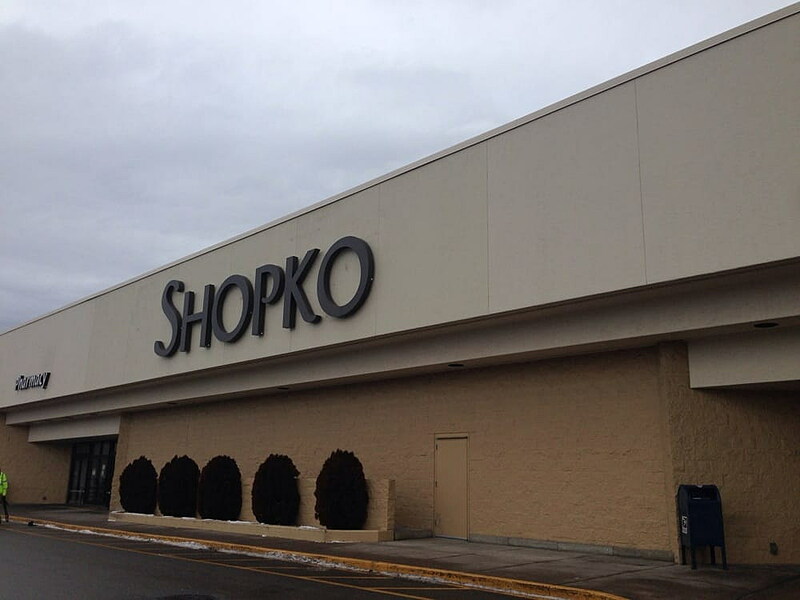 McQuirk doesn’t think another retail store will find its way into the Shopko building, unless the business offers discounted prices and high-quality products. Moving in a Costco is one example, he said, but it can also be redeveloped into a school or a multi-use space like the Mercantile in downtown Missoula. Using the land for residential development is a possibility, but making it pencil out in the end is the goal. “I think it’s a valid possibility for that site. It’s got the right zoning for it,” Mellott said. “Retail real estate is very good real estate because it’s got parking, it’s a big building, it’s got good zoning, and it’s visible from Reserve, which is one of the busiest streets in town,” he said.